Located in picturesque Red Hill, Port Phillip Estate features a dining room that offers prime produce and stunning views. 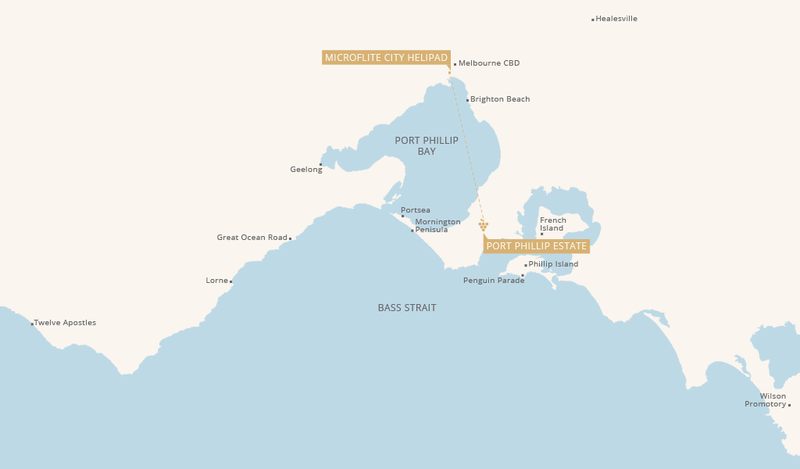 You’ll fly south from the city and along the coast of Port Phillip Bay to the winery’s Kooyong vineyard. Once you land, a private car will be waiting to drive you to your dining destination. When you arrive, you and your guests will enjoy a delicious three-course European-influenced meal. Not available on Monday & Tuesday.